I am really excited to share something I have been working with for quite a while now and it is truly mind blowing stuff! Lately there has been a lot of interest within the scientific community about something called ‘telomeres’. The 2009 Nobel prize in physiology/ medicine was awarded for breakthrough research in telomeres and their effects on ageing. 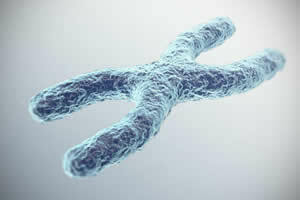 What is a telomere? Within every one of our hundred trillion cells exists a nucleus with genes and chromosomes. The chromosomes are made up of hundreds of millions of DNA molecules curled up like a slinky. The telomeres are the long repetitive sequences of DNA at the ends of our chromosomes sometimes compared to the tips at the ends of shoe laces. Aging occurs because each time the cells divide, some of this DNA coding is lost and the telomeres become shortened and unable to provide all of the information required for optimal cell replication. The bottom line is when cells divide, telomeres shorten resulting in lost cell functioning, loss of muscle, wrinkled skin, greying hair, failing memory, failing eyesight, lack of energy, disease, old age and death. The good news is that in my upcoming Intensive course I will be taking participants on an in-depth journey into our telomeres. Everyone will gain an internal perspective on what is going on within them, learn how to lengthen them and restore lost information for youthfulness, health and vitality.